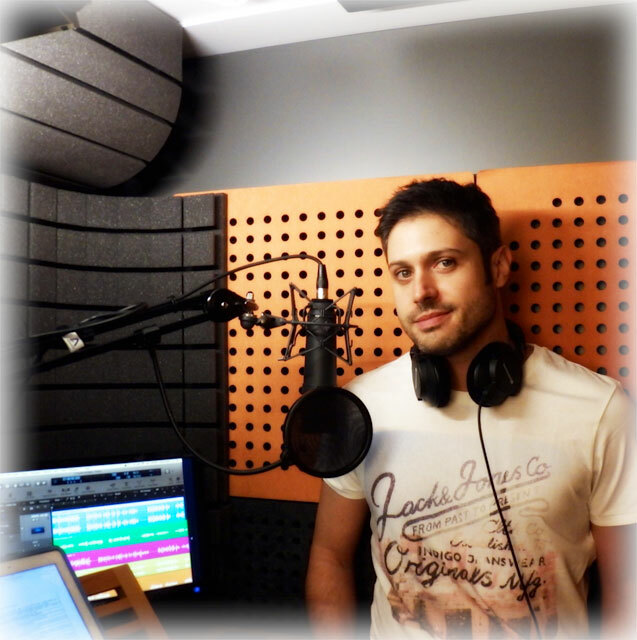 Alfonso is an experienced professional voice talent with over 10 years’ experience in the audio-visual business. He has voiced major campaigns for MTV, Nickelodeon, The European Commission, Amazon and Google among many others, and dubbed several series for Netflix. After years working for the most prestigious studios in London and Madrid he now works from his professional recording studio saving time and money to his clients. Alfonso records from his own soundproofed booth (Studiobricks) delivering clean and echo-free audio files. The studio is equipped with Source Connect software for remote recording just like ISDN. Clients can also monitor the recording session via Skype. Alfonso can record to picture (lip-sync & phrase-sync) from source materials (MP4, WMV, MOV, even audio!) at no extra costs for his clients. After the recorded session you can have a same-day delivery of the edited takes in MP3, WAV, or AIFF e-mailed to you via Alfonso’s Hightail account. Equipped with Mac computers, a Studiobricks booth, an Apogee Duet Interface, Avalon M5 preamp and Rode K2 & Neumann U87 microphones. Alfonsos’s versatility and wide range of voices is perfect for corporate narrations, e-learnings, commercials, educataive projects, video games, etc. His passion and commitment to the job keep him upgrading the studio with the best equipment. Go to Audio Demos to listen to the different types of voice and register that Alfonso offers. Visit Video and you’ll see some of the latest TV Promos and Corporate Videos which Alfonso has voiced.